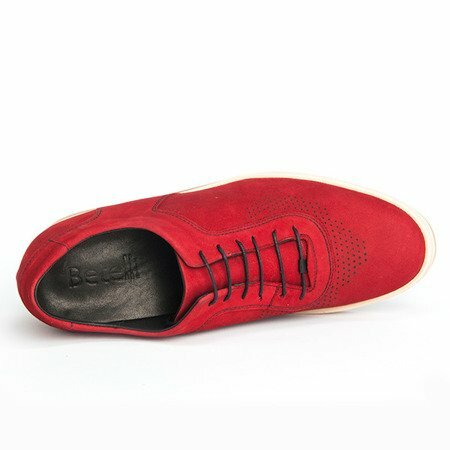 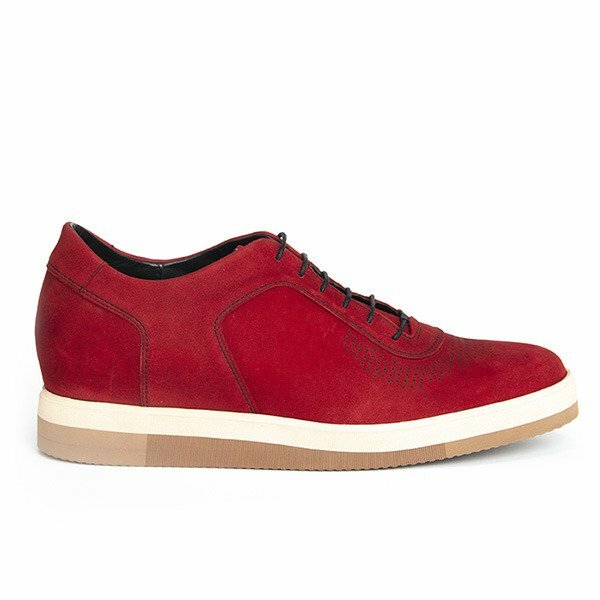 Footwear in a sports style made of red nubuck. 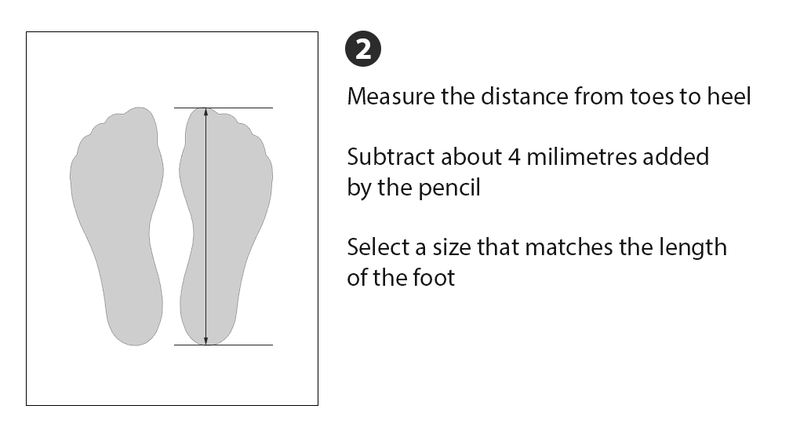 Raising 7 cm. 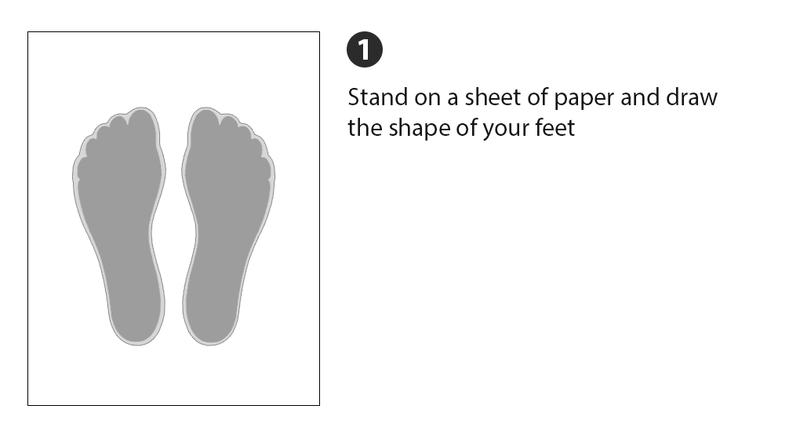 Model Fabio is 7 cm high-heeled shoes with a sporty character. 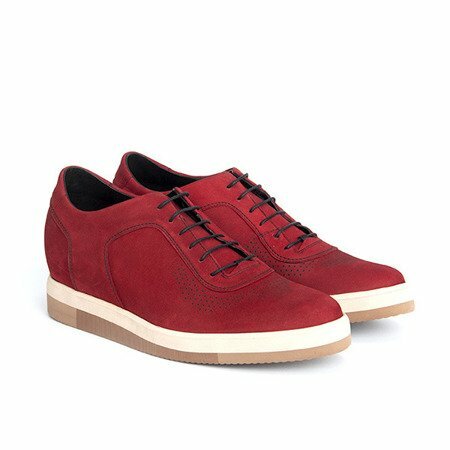 The shoes are made of nubuck, placed on a rubber sole in light and dark beige. 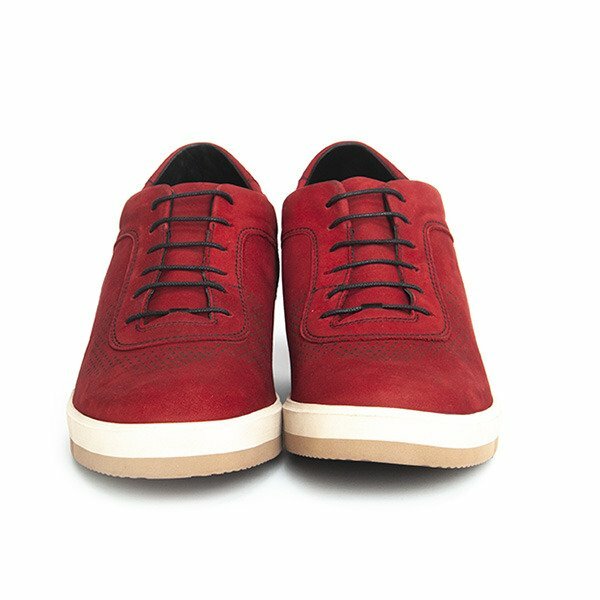 Thanks to decorative holes, footwear is suitable for casual wear for loosener stylizations.